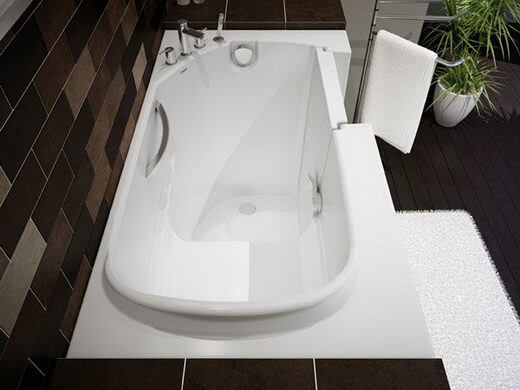 If you have a small bathroom but still want to have a bathtub, then a walk-in bathtub might be a good option. It features a safety grab rails, slip resistant floor, and chrome waste with chrome overflow. 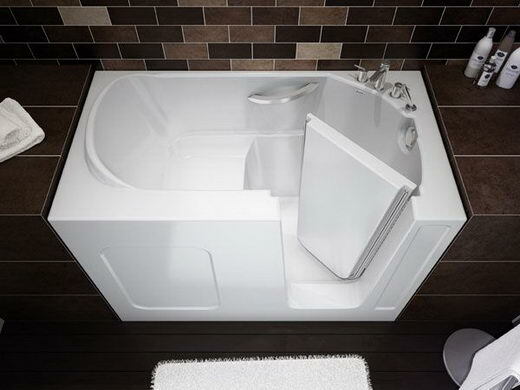 A contoured seat with an elevated back rest could make your bathing very comfortable and relaxing even in such small bathtub. Besides, the bathtub could be complemented with a whirlpool heater, a chemotherapy light system, and a water heater. 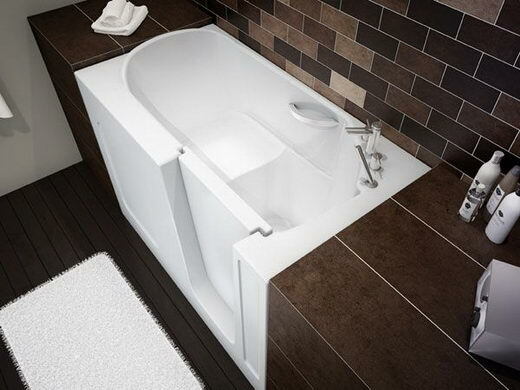 With all these features, the walk-in bathtub is a very cool 1.4 m (55-inch) long solution for small bathrooms. 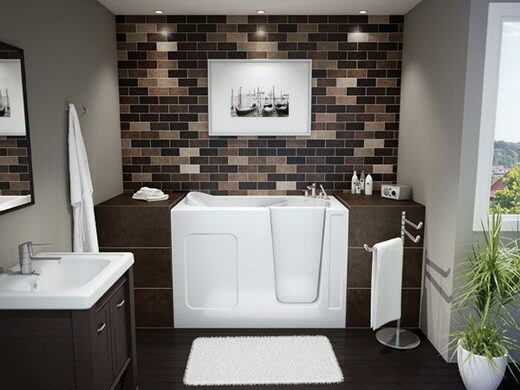 Yeah… I agree… the tub looks good and tiles are beautiful…. never thought we can use tiles like that….